This topic contains 0 replies, has 1 voice, and was last updated by GeneralSecretary 1 year, 11 months ago. 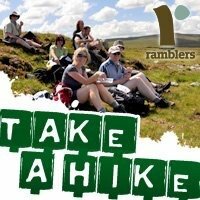 The Code of Conduct for Ramblers members, volunteers, trustees and staff reminds us of the Ramblers values, which are to be welcoming, positive, empowering, inclusive, ethical, democratic and environmentally responsible. The Code also underlines the way we are to interact and work together, to ensure that the Ramblers is a pleasant and enjoyable organisation for everyone involved.